There’s nothing like having an old interview published, and directing people to your blog, to make you realise that it’s been FOREVER since you updated. I mean, we all know it’s always been forever, but this has been a particularly long absence. And the main reason for this absence (apart from the one and a half year old I have running around my feet most of the day) is that we are in total Expat Limbo at the moment. Expat Limbo, for those unfamiliar, is that time where you plan to move home or move on in the nearish future, but where you don’t have a confirmed plan of action/contract/moving date. Expat Limbo can last a few months, or in some cases much longer, and from talking to people around here, I gather that it’s a fairly common experience. So rather than not write my expat blog because of it, I thought I’d trying writing my expat blog about it. For us, the plan is to move back to New Zealand, back to our house, and back to our old life, but with a toddler (that’s totally how it works, right?!) We hope to make this smooth and seamless* transition before said toddler turns two, which is only 5 months away!! The biggest piece of the puzzle missing is a job for The Engineer. We are hopeful that something will change on that front soon (and we have good reason to be so – this is not a vague misplaced hope). But until then, here we are. Waiting. Hoping. Keeping it in the back of our minds, but not quite counting on anything. And that’s where the Limbo comes in. That uncertainty of having a plan, but not being able to do much about it; of being half in your current life, half dreaming of a new life, and not totally present anywhere; of avoiding doing and buying things because of something that may not happen. It’s an exciting time, and a move we’re excited about the possibility of, but it’s sure not always easy. 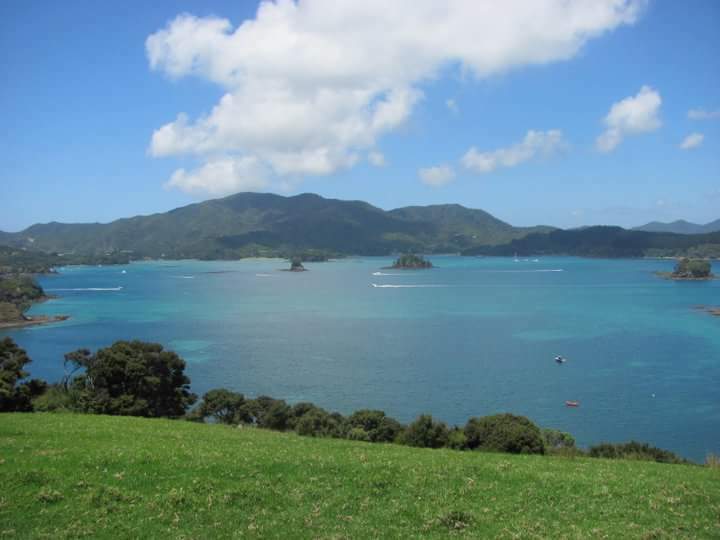 Facebook memories are not making this Expat Limbo thing any easier, with stunners like this (from New Zealand’s Bay of Islands) popping up to make me totally homesick. * In case it’s not abundantly clear, I do not anticipate this move away from the only home The Engineer’s Toddler has ever known being anything close to smooth and seamless.